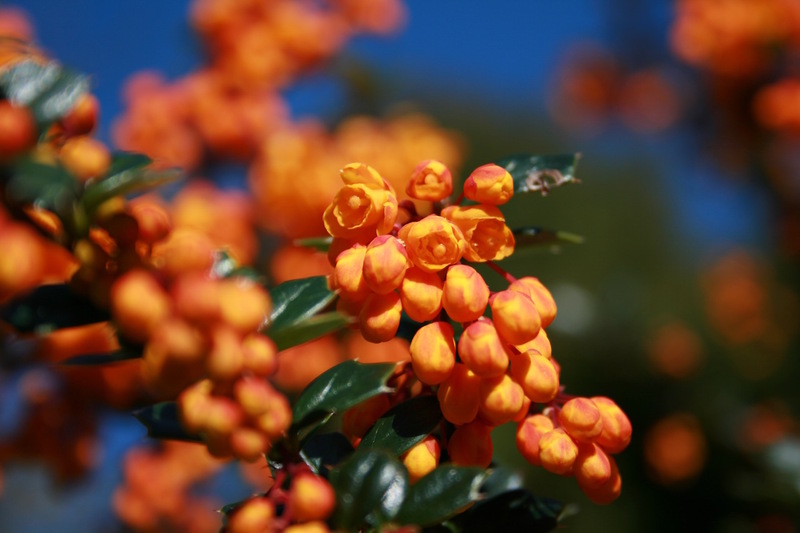 Berberis darwinii is a great shrub for honey bees – yeilding a nice supply of early nectar and ample greenish pollen in the spring. It is quite a large hardy plant – at least 2m in height – with glossy, dark green evergreen leaves equipped with spines and it will live for up to 20 years. 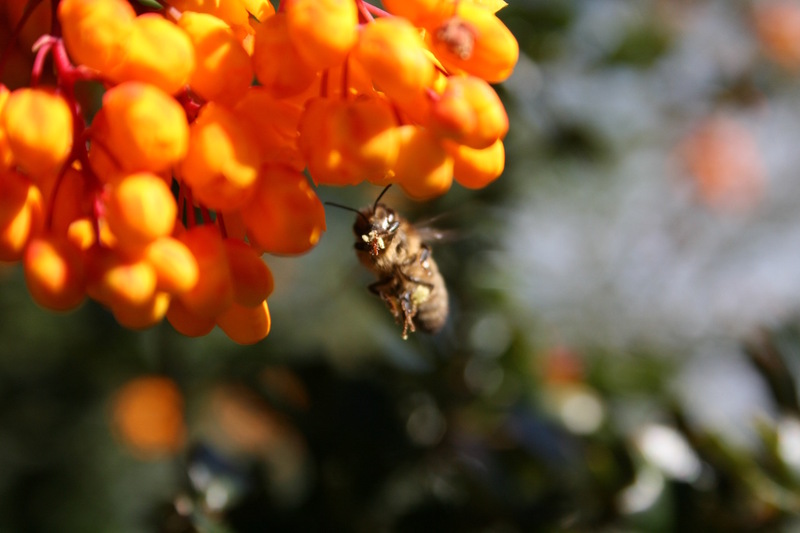 When in flower it is very glamorous indeed – branches can be smothered in clusters of bright orange flowers and a-buzz with bees of many species.